NJLS Light Trucking works with hundreds of freight forwarders to help move materials all over the Eastern seaboard; NJLS is the choice of many overseas pharmaceutical companies and medical device companies bringing critical products into ports of the greater New York City/New Jersey area. NJLS quickly and cost-effectively gets our clients’ trucking jobs done, inspiring confidence in our expertise. NJLS Light Trucking is involved with everything from transporting office furniture and exhibits to helicopter parts. 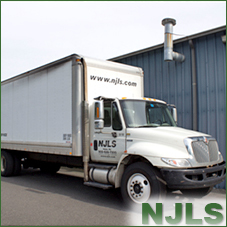 With vehicles ranging from vans to 30,000-pound trucks, NJLS can handle virtually any moving job. To review terms and conditions of NJLS Trucking offerings, please see our Services Guide.